Home » Tech Tips » Windows 10 » How to Use Device Manager in Windows 10 PC? 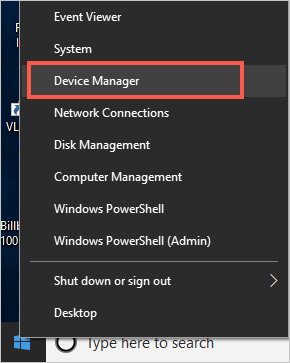 Device Manager is a Windows system utility that displays all hardware devices installed on your computer. It is a critical tool, you can use to troubleshoot hardware problems, install, uninstall or update drivers, configure, enable and disable hardware among other things. This article teaches you how to use the device manager in Windows 10 PC. Related: 11 ways to secure your Windows PC. To open the Device Manager, right-click the Windows Start button at the bottom-left corner of your screen. Look for “Device Manager” option from the list and click on it. 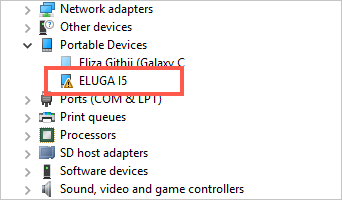 The Device Manager will open displaying a list of hardware installed on your computer organized by category. You can click the arrow beside each category, see the list of hardware under that category. 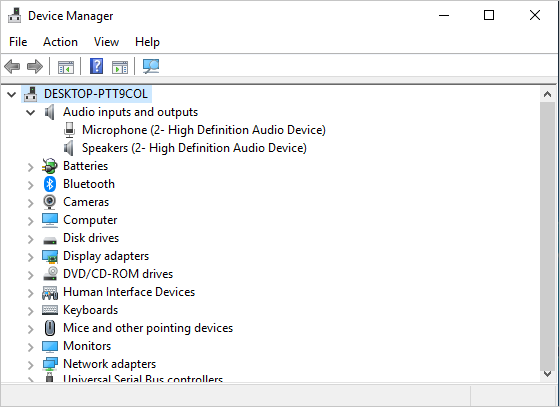 Device manager may hide some devices from the default list. 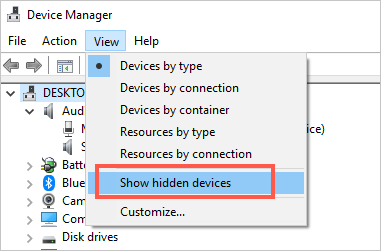 In order to see the hidden devices, go to the “View” menu and click “Show hidden devices”. You can also sort the list by a different value from the view menu. Right-click the specific device and select “Properties” to view more information about the hardware. “General” tab – display information like the device name, type and manufacturer and the working status. 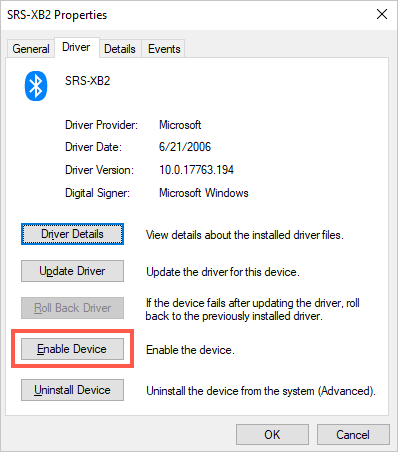 “Driver” tab – details and settings options for the device driver. “Details” tab – shows more devices properties and their respective value. “Resources” tab – shows device configuration settings. Others – for some hardware properties you may find other tabs like Power Management, Volume, Settings and Advanced among others depending on the device characteristics. 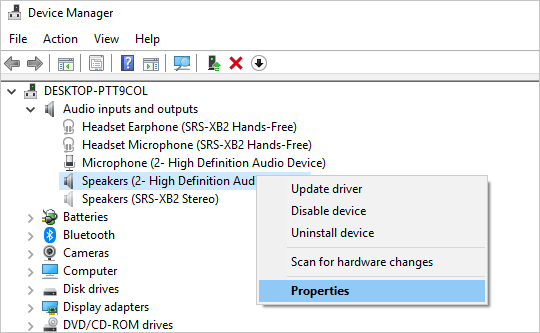 Normally Windows 10 automatically detects connected hardware and installs the driver (plug and play) for the hardware. However, you can also manually add hardware that is not recognized by the system. Follow the below instructions to add or remove hardware from your computer. First connect the hardware on your computer and follow the instructions on the installation drive that comes with the hardware. 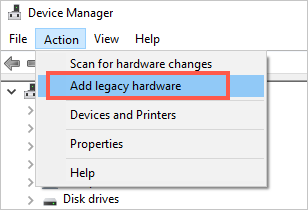 If the Device Manage does not detects the hardware then go to the “Action” menu of the Device Manager and select “Add legacy hardware” from the menu options. 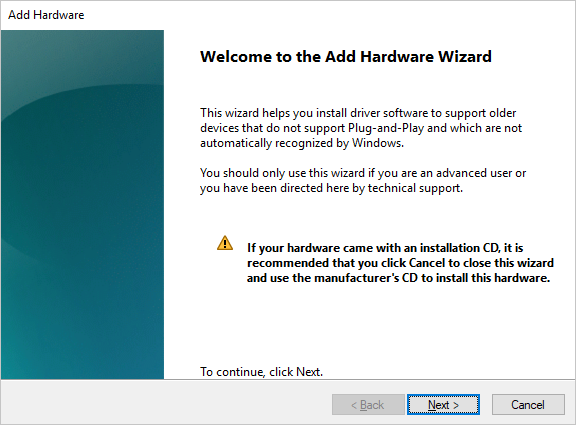 You will see a “Add Hardware Wizard” dialog and click “Next” button to continue. Note, if you have installation drive, you need to follow the instructions on it instead of manually adding through this wizard. The wizard also shows this as a warning message. 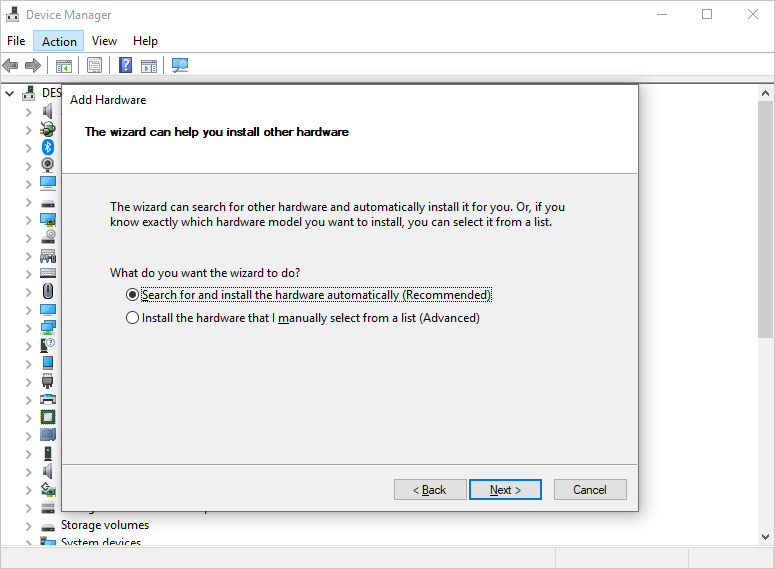 The wizard offers two ways to search the newly added hardware. You can allow the device manager to search for and automatically install the new hardware or select and install the device manually. Choose the first recommended method and click “Next”. Windows will search for connected devices and install its driver. Click “Finish” when prompted and restart the computer to complete the process. Sometimes you may need to remove the hardware for troubleshooting purposes and reinstall. 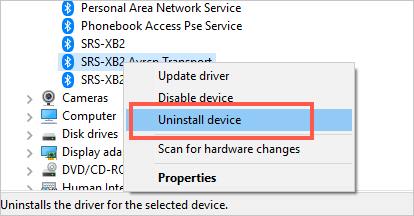 In order to remove a device, right-click on the specific hardware and select “Uninstall device”. A prompt window will appear with a warning message. Click “Uninstall” to confirm the action. The device will be removed from the list. You can follow the above instructions for adding the device back to Device Manager and check whether it works properly. In Windows operating system, most hardware needs driver files to function properly. Simply put, a driver is hardware-specific software that enables the hardware to function properly. You can use Device Manager to troubleshoot driver problems, update, roll back or disable/ enable hardware drivers. Whenever there is a driver error, Device Manager will indicate it by a yellow triangle with an acclamation mark against the hardware device. This shows that the device is not working correctly, and you can fix by updating the driver. Right-click the particular device, click “Properties” and go to “Driver” tab. For more information about the driver file such as provider, version and so on, click on “Driver Details” button. Click on the “Update Driver” button to update the driver to latest version. 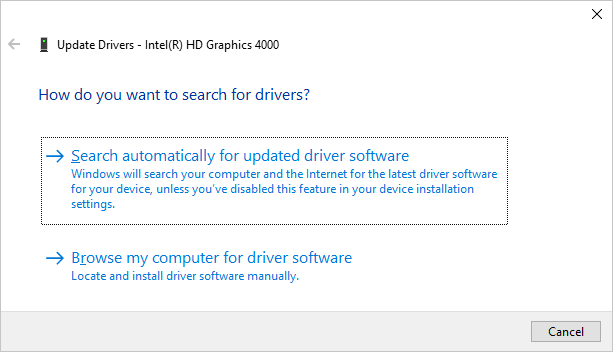 You can allow Windows to automatically search for updated drivers online or browse for and install the driver software manually. 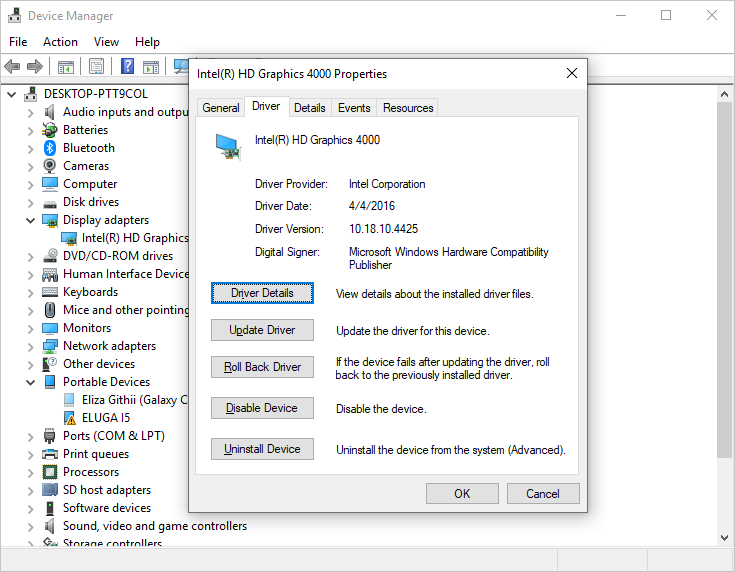 In order to manually install the driver, you should have downloaded the latest driver beforehand or have the installation CD. If the latest driver for the device is not working you can revert back to the previous version. In order to revert to a previously working driver version, click the “Roll Back Driver” option. You can also fix driver issues by restarting (Disable/ Enable) the affected device. 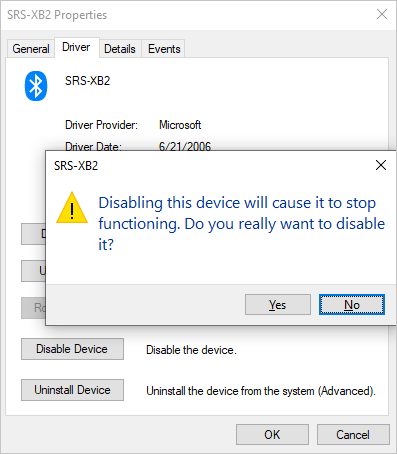 Click on “Disable Device” from the Drivers settings window, and confirm the action by clicking “Yes” on the prompt pop-up. Device Manager will mark the disabled device with a black down-facing arrow. You can anytime enable the device by going back to driver settings for the device and clicking “Enable Device” option. You can configure some devices to use your preferred resource settings. On the Device Properties window, go to “Resources” tab to change the configuration. The lower section of the “Resources” tab displays a list of device conflicts if any. For instance, for the device shown in the figure above, there is no conflicting device. Uncheck the “Use automatic settings” box, select a resource setting configuration from the “Setting based on” list and click “Ok”. If the device doesn’t have basic configurations, click on “Change setting…” to modify the settings. Once done, save the settings and click “Ok”. Restart your computer to execute the changes. Note: For some devices, you will not find the “Resources” tab, while in other cases it may be available but the configuration is locked to a particular setting. In such a case you may not be able to modify the resource settings. You can view all the devices installed in your system and check their working status using the device manager tool in Windows 10. Moreover, if you experience a hardware problem or error, device manager allows you to fix the error by removing and then adding a device afresh, update or roll back driver for the hardware. Though there are other third-party device management tools, they may be unnecessary as this Windows utility can handle your PC hardware issues effectively.